So goes the song and for skaters, judges, officials and fans this month’s Grand Prix Final in the Catalan capital provides the perfect excuse to visit this fascinating and vibrant city. As is always the case with skating competitions though, there is often very little time to venture outside the confines of the arena and its vicinity. The Centre de Convencions Internacional de Barcelona (CCIB), the Grand Prix Final venue, is located on the eastern edge of Barcelona away from the hustle and bustle of the centre of downtown. With that in mind, we’ve compiled our top five recommendations of things to do in the city when you’re not watching the best skaters in the world. SEE – There is no escaping Antoni Gaudi wherever you go in Barcelona. 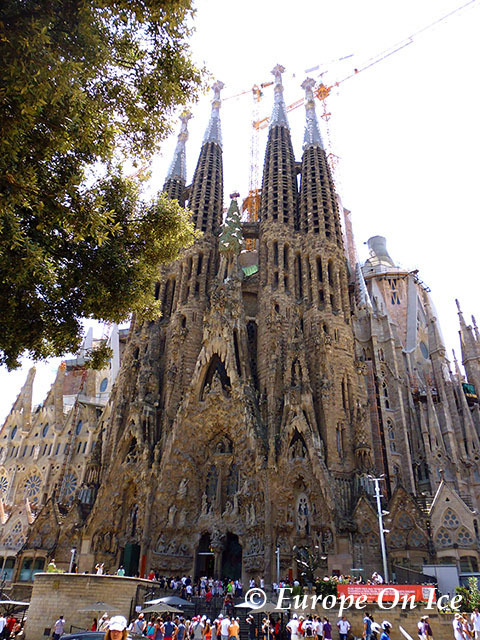 His Sagrada Familia has been under construction since 1882 and its towers dominate the city skyline. You can buy tickets to view this architectural masterpiece in advance online which will save you precious time as the queues to get into the basilica are almost impressive as the building itself. Other sights associated with Gaudi are Park Güell, Casa Batlló and Casa Milà. EAT – Some of the best food and most creative chefs in the world come from Spain and Catalan cuisine is rich and varied with delicious produce close at hand. 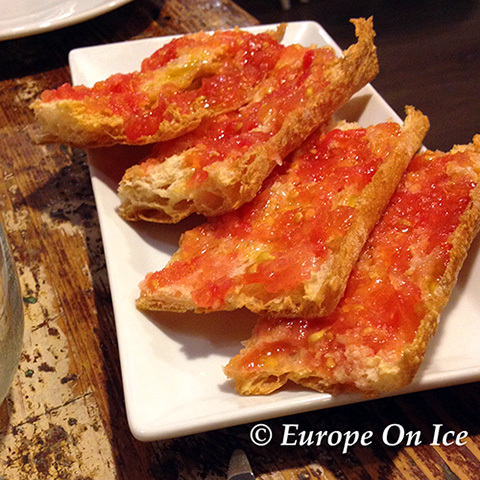 There are plenty of Michelin star restaurants in the city, but you don’t have to break the bank to try pa amb tomàquet, toasted bread smeared with tomatoes and olive oil, or some turrón, a Spanish almond nougat traditionally consumed at Christmas. Bon profit! 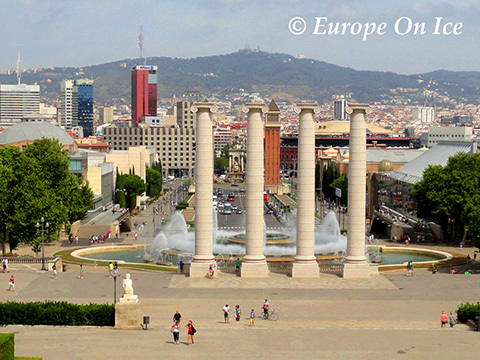 CLIMB – To get some spectacular views of the city ride the funicular from Paral-lel metro station up to Montjuïc hill and see the stadia that hosted the Barcelona Olympics in 1992. Go even higher on the Telerefic de Montjuïc, a gondola that takes you all the way up to Montjuïc Castle. SHOP – Spain has given us international retail behemoths of the likes of Zara, but ramble through the streets of the Eixample, El Born or the Barri Gòtic and you will come across all manner of quirky and stylish shops. A Christmas market is also open outside the Sagrada Familia. Or make your way to the top floor of the Plaça de Catalunya branch of El Corte Ingles, the grand dame of Spanish department stores, grab a seat by the window and take in the vistas of the city below. 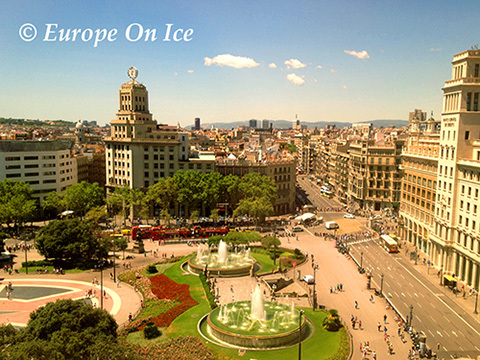 SKATE – So you may not be Javier Fernandez, but that’s no reason not to take to the ice while you are in Barcelona. The Bar-gel-ona (gel is the Catalan for ice) ice rink takes over the picturesque Plaça de Catalunya square temporarily for the festive season for public skating and is open from 10:00 every day. Admission costs €10 and includes skate hire, so there’s nothing holding you back from practicing your salchow. 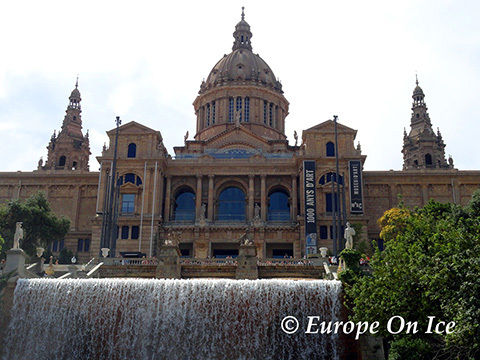 Barcelona, we will meet again someday!